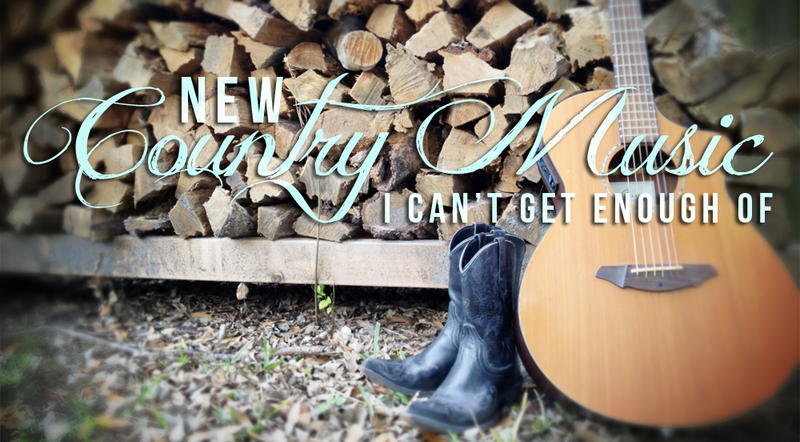 I am a girl that loves her country music, over and over and over again. I listen to other genres of music, but country has always been a part of my life. Hello memories. This is so reminiscent of my small hometown back in Kansas, that I just had to get out of but I love going back to visit. Also, Eric is smokin' in this video. It's rare to see him without his sunnies and baseball cap, but there are some yummy scruffy moments in this video. I can't wait to see him again in June! He's also releasing his next album in February, yay! I'm always a little skeptical of pretty new faces in country music because sometimes they just don't have the voice to make it without the face. Know what I'm sayin'? Anyway, after hearing the chorus of this song and realizing where the title comes from I was singing it on repeat! These guys have been played more than more newbies on the Bobby Bones Show, partly because they're friends with Nada, but MAN do they deserve it. I loved this song since the first time I heard it and can't wait to see what else they come out with! They've also been teased as the country version of Savage Garden...remember them? Truly, Madly, Deeply was my JAM and always takes me back to middle school when we took a family vaca to Galveston. New music to me is something I only remember hearing within the last month. So, if it's been on an album and just released as a single but I love it like Jason's When She Says Baby, it's not really new to me. Anything playing on your local country station that I should be looking up? It always amazes me how different things are played all over! Speaking of that trip down memory lane, here's Savage Garden and the song that always takes me back. This whole album was awesome! OMG I love your taste in music. Country girl here too. I will have to check out that new song by Kelleigh, I have never heard of her! I love love love that new Eric Church song. I find that liking his music (for me) is hit or miss. I didn't like the outsiders. I am a huge country music fan myself! I love the new Eric Church song! I haven't heard the other two, I don't think? Sometimes it takes me a few times hearing on radio to know it's new, lol. Truly Madly Deeply was/is my jam! Love me some Eric Church! I am just getting to like country and I like the Eric Church song. Savage Garden is taking it back old school, loved that song!